Since its formation in 1994 LFB has been an innovative player in the field of biosafety. 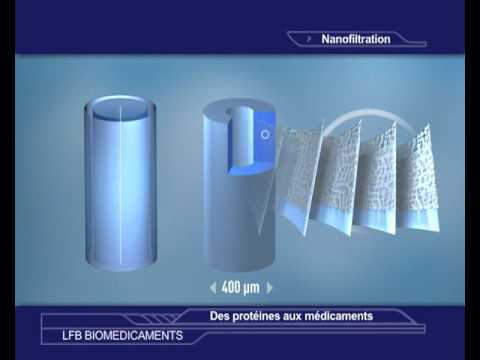 In 1995 LFB was the first pharmaceutical company to use nanofiltration in its processes for manufacturing plasma-derived medicinal products. Nanofiltration is a filtration technique based on size, which has proven efficacy in eliminating viruses and reducing the risk from prions. Pioneer in plasma quality before fractionation. In 1996 LFB was also the first manufacturer to use PCR (polymerase chain reaction) for detecting parvovirus B19 in plasma for fractionation. PCR is a nucleic acid amplification technique, which means that viruses can be detected before antibodies to those viruses appear. Since then, PCR has been used for all the plasma fractionated by LFB and to also detect HCV, HIV, HBV and HAV in addition to parvovirus B19. 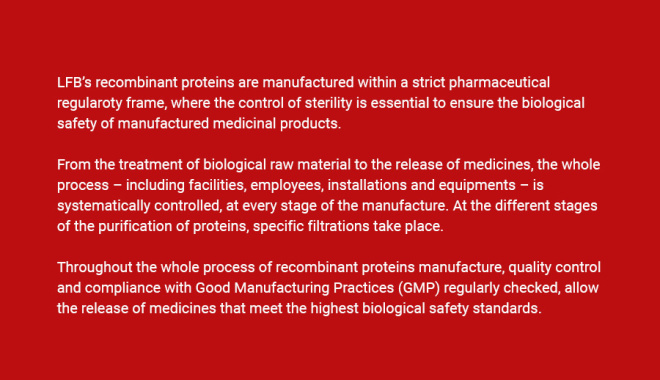 Using the technological innovations it makes, such as the rPRO™ platform or EMABling®, LFB deploys the most advanced techniques for ensuring the biosafety of recombinant medicinal products.